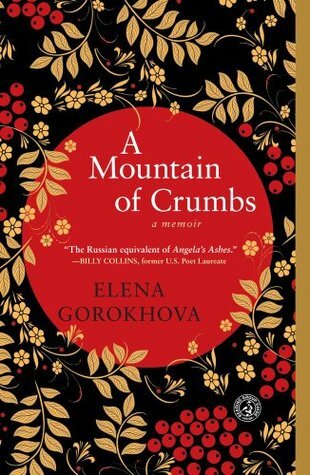 Elena Gorokhova’s A Mountain of Crumbs is the moving story of a Soviet girl who discovers the truths adults are hiding from her and the lies her homeland lives by. Elena’s country is no longer the majestic Russia of literature or the tsars, but a nation struggling to retain its power and its pride. Born with a desire to explore the world beyond her borders, Elena finds her passion in the complexity of the English language—but in the Soviet Union of the 1960s such a passion verges on the subversive. Elena is controlled by the state the same way she is controlled by her mother, a mirror image of her motherland: overbearing, protective, difficult to leave. In the battle between a strong-willed daughter and her authoritarian mother, the daughter, in the end, must break free and leave in order to survive. 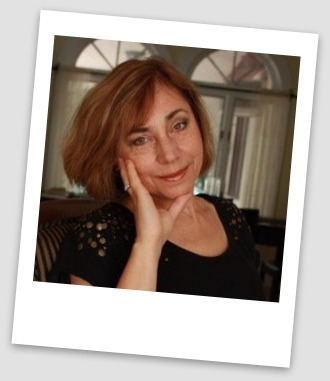 Through Elena’s captivating voice, we learn not only the stories of Russian family life in the second half of the twentieth century, but also the story of one rebellious citizen whose curiosity and determination finally transport her to a new world. It is an elegy to the lost country of childhood, where those who leave can never return. Elena Gorokhova grew up in St. Petersburg, Russia, although for most of her life it was known to her as Leningrad. At the age of 24 she married an American and came to the United States with only a 20 kilogram suitcase to start a new life. Now, Elena is a writer and lives in New Jersey. Thanks so much for stopping by Elena! There are some truly brilliant answers here. Reading glasses. I’ve reached the age when I just leave my reading glasses in the book. I keep my place and I don’t lose my glasses. These days I read most books so fast I hardly know if the jacket is on or off. Anton Pavlovich Chekhov, who is extraordinary at portraying life as it is. My favorite genre to read is poetry, but I write memoirs. Summertime by J.M. Coetzee, the finest writer alive. Slow Cooker Revolution (a bestseller!) by the Editors at America’s Test Kitchen. No matter how long the movie, it will be worth it in the end. Angela’s Ashes by Frank McCourt. He was my teacher at the Southampton Writers Conference, and I owe the voice of my memoir to him. Lies My Mother Never Told Me by Kaylie Jones, for the second time, to be followed by her father’s great book From Here to Eternity. Well, we’re back to Slow Cooker Revolution. There is a piece of lasagna on its cover to die for. Simon & Schuster sent me 2 boxes (50 copies) of my own book A Mountain of Crumbs, which just came out in paperback. More than my house has space for. But does one really own a novel or a poem or a story collection? Brother Rabbit. It’s a Russian book not translated into English. My armchair in my office at home. With a little help from my agent, a book about my first year or two in the U.S. when I was a lost stranger in a strange land. About 5 feet from the armchair I read in is my desk with a six-year-old laptop. If any magic happens, it will happen there. A Lakeland terrier called Dima (short for Dmitri - or, maybe, demon). It’s my husband’s garden that grows, not mine. Weeding, watering and picking as a child who spent summers at the dacha near Leningrad left a less than positive mark on my soul as a gardener. Like most authors (if they’re being completely candid) I googled my book to find out how it was doing. Too many adjectives in front of a perfectly healthy noun. Thanks for the giveaway. This looks so interesting. Thanks for the giveaway and I really liked her Q&A! Great Q&A. Thanks for the intro to this new to me book.